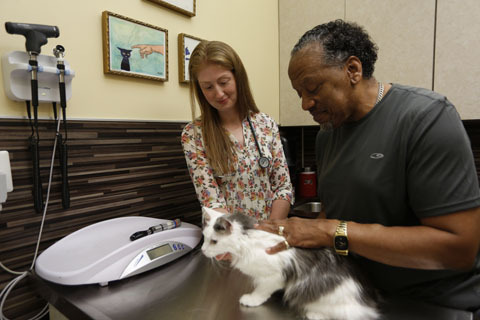 Meet the Veterinarians & Team of The Village Vet in Baltimore! 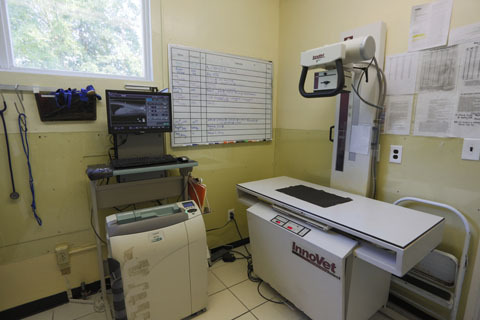 We’re pleased to provide exceptional vet care for your pets! Please call us at 410-367-8111 to speak to one of our caring veterinary staff members! Dr. Berry graduated from the University of Maryland, College Park in 1977 with a BS degree in Animal Science. Because of an interest in food animal production, he began study and received his DVM degree from the University Of Florida College Of Veterinary Medicine in 1981. Having re-evaluating options following graduation, he started his clinical practice career at a local companion animal practice, the Glen Burnie Animal Hospital. 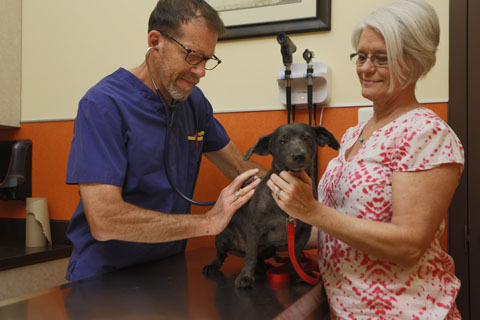 Seeking a change of pace, a five year stint at the Emergency Veterinary Clinic (EVC) in Catonsville, MD followed his first practice association. 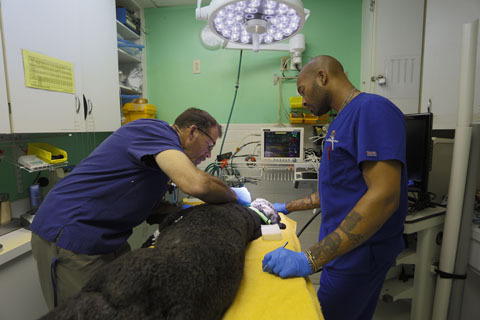 After the EVC experience he worked as a relief veterinarian in several area practices before starting his own practice (Whetstone Point Veterinary Hospital) in the Federal Hill area of Baltimore, MD. Four years later he purchased the Animal Medical Center of Mount Washington. 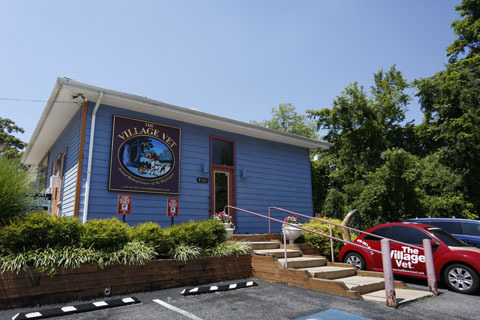 In 2005, the Federal Hill practice was sold and Animal Medical Center of Mount Washington, now rebranded and renamed, “The Village Vet”, became his singular professional object of interest. Numerous equipment, technology and physical plant upgrades have occurred and continue to be a part of the long term practice goal of providing quality companion animal care to the surrounding neighborhoods of Mount Washington Village. Dr. Amanda Stump is a Baltimore native who graduated with a bachelor’s degree in Biology from the College of Notre Dame of Maryland in 2005. She received her DVM from the Virginia-Maryland Regional College of Veterinary Medicine four years later. Her passions in the field include soft tissue surgery, internal medicine and preventative care. In addition to her time spent in private practice, she enjoys working at a local shelter to provide care to cats and dogs seeking new homes. Sylvia has worked in the veterinary field for over 10 years, 6 of those have been right here at The Village Vet! She graduated from Coppin State University in 2009 with a BA in Social Work and Psychology, but her love for furry friends has kept her devoted to animal health. She is the mother to an awesome little person named Heaven!! Syliva is a top chef and enjoys all things nature, an avid hiker and traveller, she is always looking for a new adventure! An advocate for animal welfare, Kendall began working at the Baltimore Zoo’s hospital and reptile house in 2002, focusing on husbandry and followed his zeal for animal health to The Village Vet in 2007. It is at this hospital that he has been able to learn from the excellent doctor staff and apply that knowledge to provide outstanding care for patients. Kendall was born in Washington, DC and attended Coppin State University for International Studies. Whilst in his sophomore year his focus veered toward fashion design and he has since steadily gained traction in the industry through several successful freelance design opportunities. When he is not at The Village Vet or traipsing around New York, Kendall can be found riding his bike around his Charles Village neighborhood, attempting a headstand at yoga or volunteering at the LGBT center in Mt. Vernon. Aziza has been an amazing addition to our team since she joined The Village Vet family in January 2018. She has a long history of animal advocacy, having worked with Baltimore Animal County Services and other veterinary clinics in Baltimore since 2011. Aziza takes great pride in client education and is always eager to share new information regarding pet care! ets: Princess Jack Jack, Lucy, Baby Magic and Bob Marley Timea started working with animals when she was still in high school. She worked in shelter medicine at the MDSCA for six years. 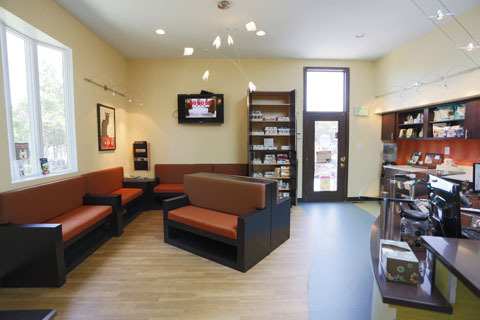 At the Village Vet you will often find her monitoring anesthesia or prepping for the next surgery. When Timea isn’t at work she loves to go hiking with her dogs. The dogs also love to join her on the sidelines of her boyfriend’s bike tournaments. She is an avid shopper and spoils her two adorable nephews, Danny and Peter!! Liz is new to The Village Vet. She has specialty tech experience in the dentistry and emergency field. We are happy to have her keen eye during Dental Month! She is eager to meet clients and develop long lasting relationships with your pets! Our bright sunshine at the front desk! Shakera is our every present smile and has the know-how to assist clients with any of their needs.